Don’t limit your travel plans to Denver’s city center. Instead, explore all that Englewood has to offer with a charter bus or minibus rental from Denver Charter Bus Company. The local, professional drivers in our network know the ins and outs of this area well, meaning they can get your group anywhere in the city on a schedule that best suits you! Enjoy a show at the Gothic Theatre without assigning a designated driver, spend the day at Pirates Cove Water Park without worrying where to store everyone’s change of clothes, or tour the nearby University of Denver campus without stressing the parking details. When you book a private transportation service, your group can make the most of any Englewood destination while we handle the navigation and travel logistics. Whether you’re planning a class trip to the Museum of Outdoor Arts or a company-wide picnic at Belleview Park, a private transportation rental is the best way to keep your group together and on-time. Our network consists of a wide variety of motorcoaches to suit any number of passengers. 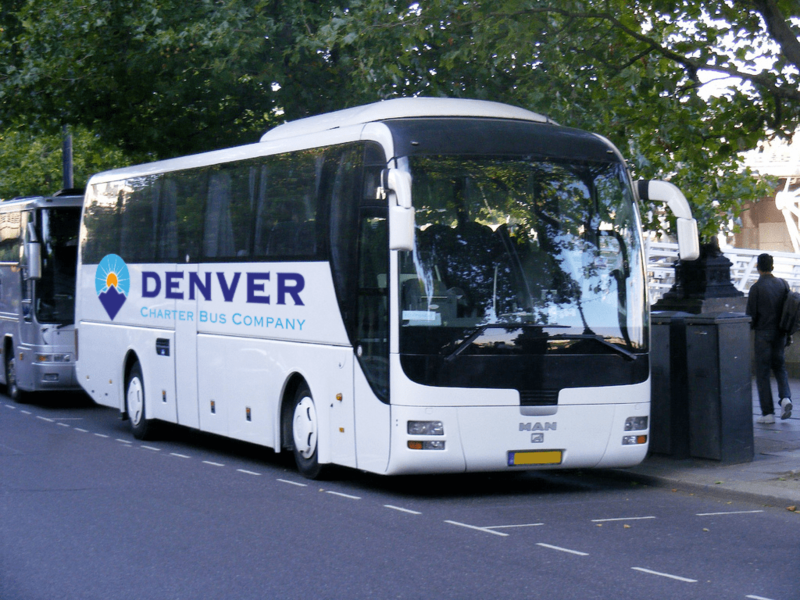 From compact 18- to 25-passenger minibuses for quick and easy shuttle services, to full-sized charter buses for the long-hauls, to any combination of transportation services, Denver Charter Bus Company has you covered. We only work with certified professionals with spotless driving records, so your group will rest easy knowing you’ll arrive at each destination safely and according to schedule. Long gone are the days of cramming into a caravan of carpools, multiple rideshare vehicles, or an uncomfortable traditional school bus. We understand that no one should have to sacrifice comfort for the sake of efficient travels, which is why we offer premium amenities available upon request. With plush reclining seats, plenty of legroom, overhead storage space, panoramic windows, and climate-controlled cabins, the buses in our network are more than capable of providing a refreshing and comfortable ride for every passenger. Upgrade your ride with amenities such as televisions with DVD players, WiFi, power outlets, and more to ensure everyone stays entertained and connected while on the road. We can even include an on-board restroom on larger models, allowing your group to minimize the amount of pit stops along your journey. Ready to book? Let Denver Charter Bus Company simplify all your travels in and around Englewood! We pride ourselves in tailoring each travel experience to your group’s size, schedule, and needs. Simply put together an itinerary and a rough headcount, and we’ll take care of the rest. Call 303-495-2341 today and our 24/7 team will be happy to assist you with the rental process, from answering your transportation-related questions to offering a free, no-obligation quote in as little as two hours!